Failure! The best thing that has ever happened to my biz! Ha! I can't express how grateful I am for the massive BOMB of a course launch I had about 5 months ago. 4.09: First two steps: (1.) What you want to offer (2.) has to match what people want to learn. 5.16: Second two steps: (3.) What you charge needs to match (4.) what they want to pay. We always need to be testing out what people are willing to pay and the value they find in what we offer. 6.20: Sometimes what your audience WANTS to learn isn't really what they NEED to learn, so you have to shift your message so what you have to offer MATCHES what they want to learn. This then leads to them seeing the value of what you are offering and they become willing to pay what you want them to! What WAS my big Failure??!! 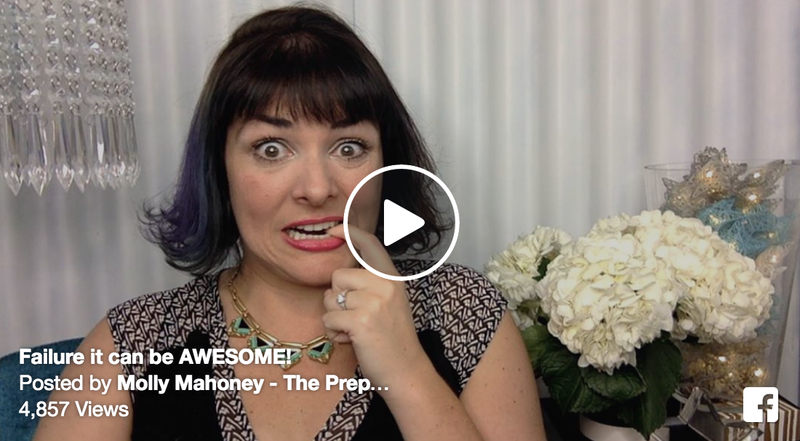 After moving to L.A. and working over 5 jobs at a time, I planned a course to help Performers manage themselves as a business: Prepared Performer Profits. The first run of the course sold at $197 and had 15 people sign up. The next run of the course I realized just HOW much energy, time, and money I was putting in. So, I upped the price to $497 and…….. ZERO people signed up! 🙁 What happened? The 4 steps weren't lining up. We will have a list of all the awesome people who I name dropped in this video soon! !